Bitcoin prices dropped below $450 late yesterday and then continued to fall below $440 as of press time, breaking two key psychological levels in the span of hours. Bitcoin dipped below $450 at 21:00 UTC on 27th April, reaching $449.89, CoinDesk Bitcoin Price Index (BPI) figures show. The digital currency quickly mounted a recovery, passing $450 at 22:00 UTC and rising to $450.80. But, bitcoin failed to stay above $450 for long, falling to $449.89 at 22:30 UTC and dropping past $440 to reach $435.28 at 1:30 UTC. At the time of report, the digital currency was trading at $442.71. 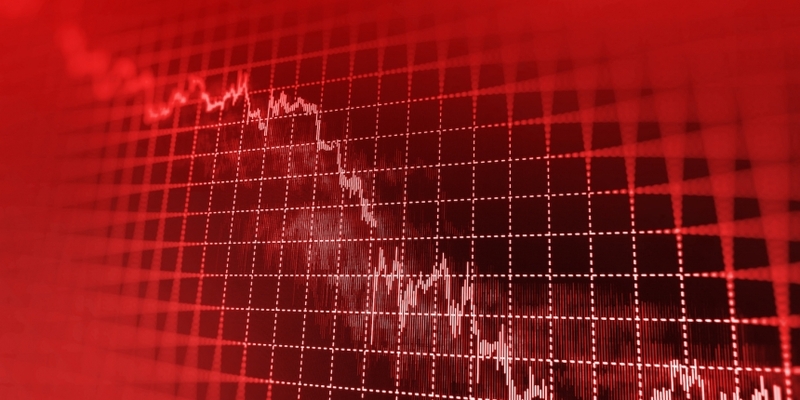 Still, the currency’s plunge below $450 and $440 on 27th April and 28th April, respectively, contrasted sharply with the steady climb it enjoyed earlier this week, when bitcoin prices surpassed several key levels amid the latest progress toward overcoming the blockchain’s inherent capacity challenges. Market observers suggested that $475 may be the next psychological barrier for traders, and that weak volume ahead of this level may have inhibited the price from continuing its upward momentum. The retreat from $475 is notable given that bitcoin prices were on the cusp of reaching highs not seen since before 2015. According to BPI data, the price of bitcoin last hit $490 on 19th December, 2015, the only time it touched that figure for the year. 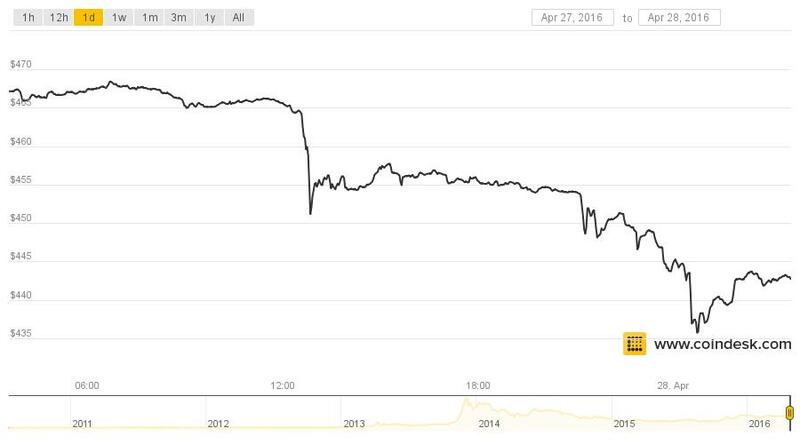 The price of bitcoin last exceeded $500 on 31st August, 2014.